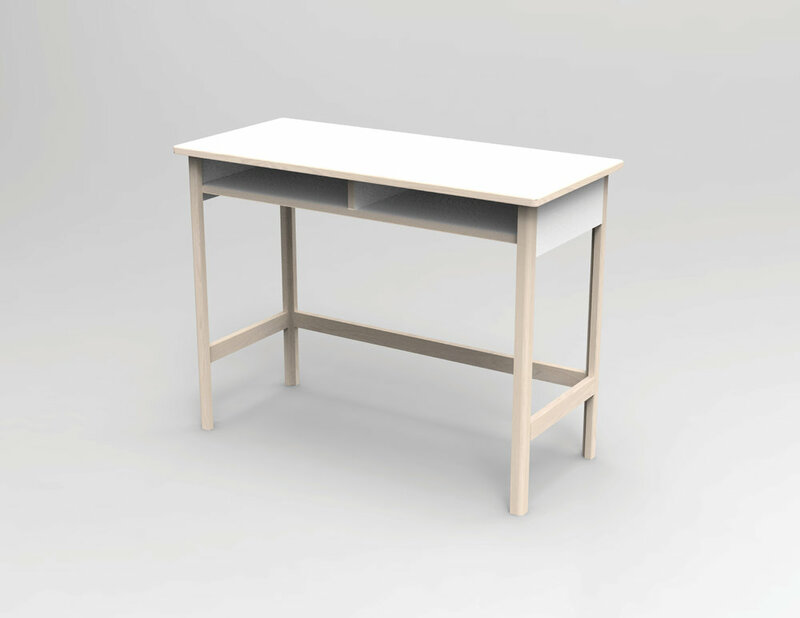 Winter 2017, University of Oregon Product Design partnered with Oregon Corrections Enterprises (OCE), a part of the state prison work system with advanced facilities for furniture production. We worked together to design, prototype and produce new dorm room furnishings for the renovation of Bean Residence Hall on the UO campus. We wanted to have moments in space that would remind you of being at home rather than a dorm complex. 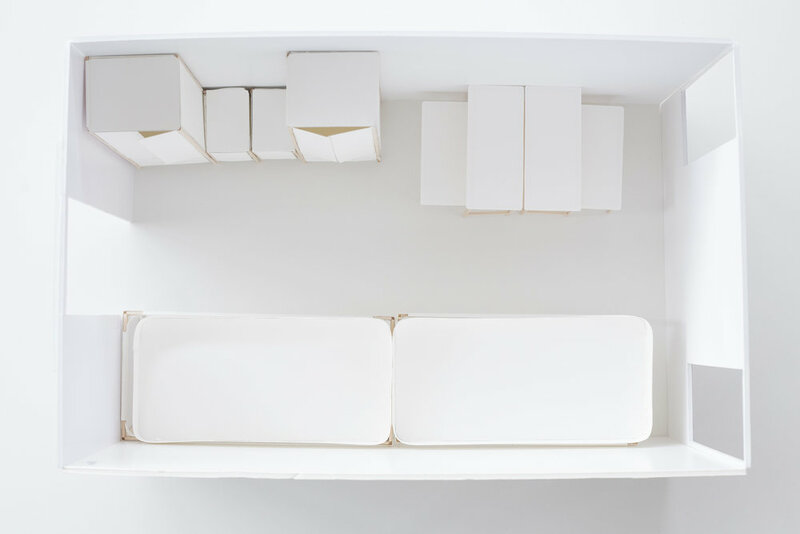 Our initial prototypes were manufactured by OCE then brought to the International Contemporary Furniture Fair, spring 2017. 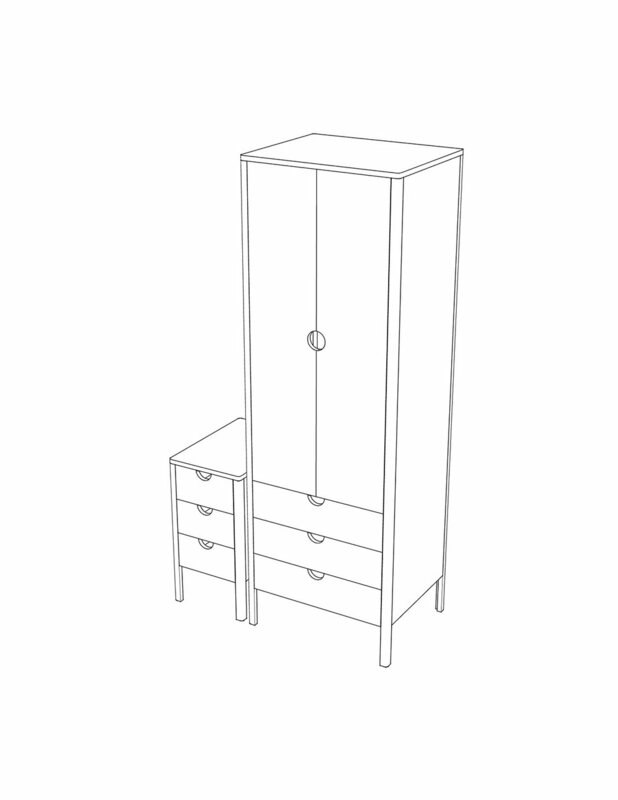 When you split the wardrobe into two sizes, you can sit on the smaller wardrobe and take of your shoes and place your backpack down. By placing two desks together you have a dining room table to commune around with friends. You are then able to reiterate your routine from home into your dorm room. Soft and natural materials are often perceived as more friendly. Using non natural materials can have devastating mental influences. Since these mechanically produced materials are not aging, the timeless perfection of these materials is not in line with our mental need to see things aging. 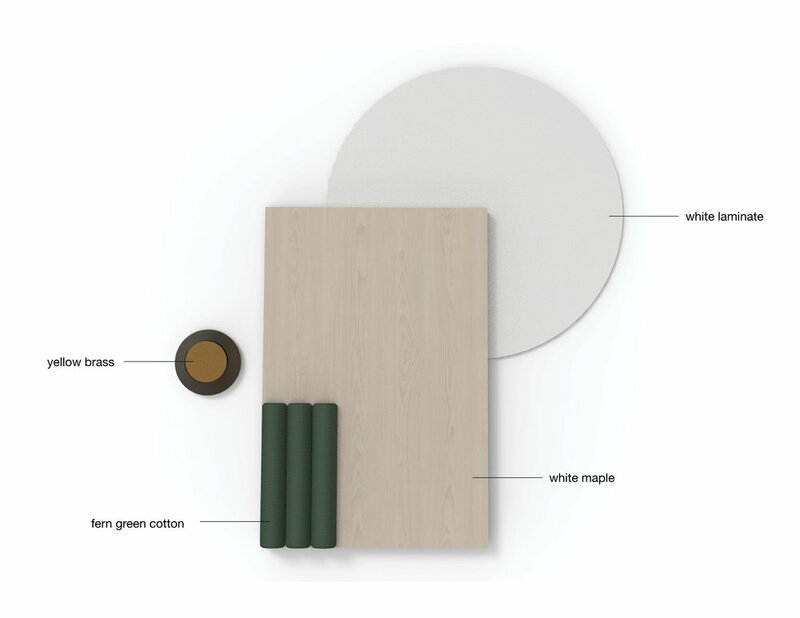 By choosing a neutral color palette of white maple and laminate it allows students to self author the space and bring their own identity and character to the room. Maple: subtle grain differentiation and light color. White Laminate: Easy to clean as well as brightens up a darker, long and narrow dorm room.